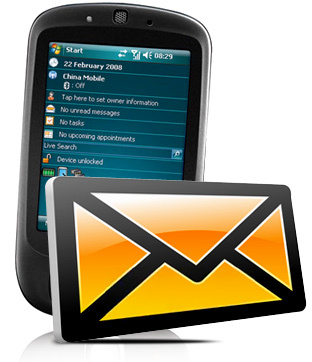 Download Windows Mobile Text SMS Software to send group messages from PC using Windows mobile phone. SMS sender program load contacts from file, phone memory or send unique or personalized SMS to every contact saved in excel. Provides option to send Standard SMS or Notification on recipient mobile phone. Allows you to skip duplicate number entries during message sending process. Delayed delivery option to control and manage load of bulk SMS messaging. Without internet connection, you can send group text messages.